Hálendið suður af Húsavík er ríkt af margs konar jarðefnum, einkum hin virku jarðhitasvæði á Þeistareykjum, Kröflu og Mývatni. Djúpt ofan í jörðu leysir súrt jarðhitavatn upp jarðlög og ber með sér uppleyst efni í átt að yfirborði, þar sem þau losna í ólgandi leirhverum, gufuaugum og brennisteinsþúfum. Frá því ísaldarjökullinn hætti að skrapa landið fyrir um tíu þúsund árum hafa háhitasvæðin kraumað og lagt af sér þykka bunka af brennistein, kísli og öðrum útfellingum. Brennisteinninn var nytjaður um aldir, einkum á Þeistareykjum en einnig um tíma við Námafjall suður af Kröflu. Hveraleir er nokkuð algengur á svæðinu en er yfirleitt mjög blandaður og finnst hreint kaólín óvíða. Á Kröflusvæðinu eru þó kunnir fundarstaðir, og eru hin afskekktu Krókóttuvötn þekktust þeirra en kaólínleir þaðan var rannsakaður um 1980. Í Grænutjörn austan Kröfluvirkjunar fundum við einnig vott af hreinu kaólíni, nothæfu til postulínsgerðar. 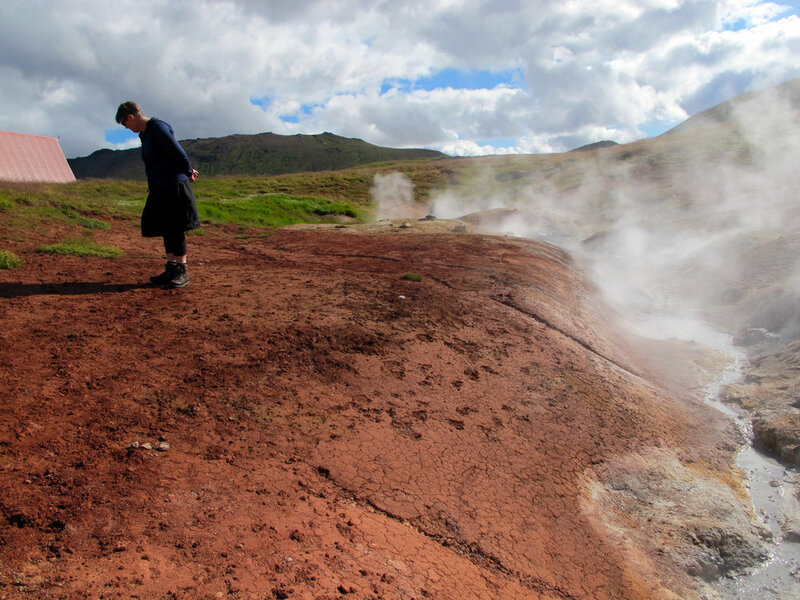 The highlands south of Húsavík are rich with a variety of minerals, and particularly the active geothermal areas of Þeistareykir, Krafla and Mývatn. Deep in the earth acidified geothermal fluids dissolve rock, carrying the dissolved materials with them towards the surface, where they escape as bubbling mud pools, steam vents and solfataras. Since the Ice Age glacier stopped scraping the landscape over ten thousand years ago the high-temperature areas have simmered and developed thick piles of sulfur, silica and other deposits. 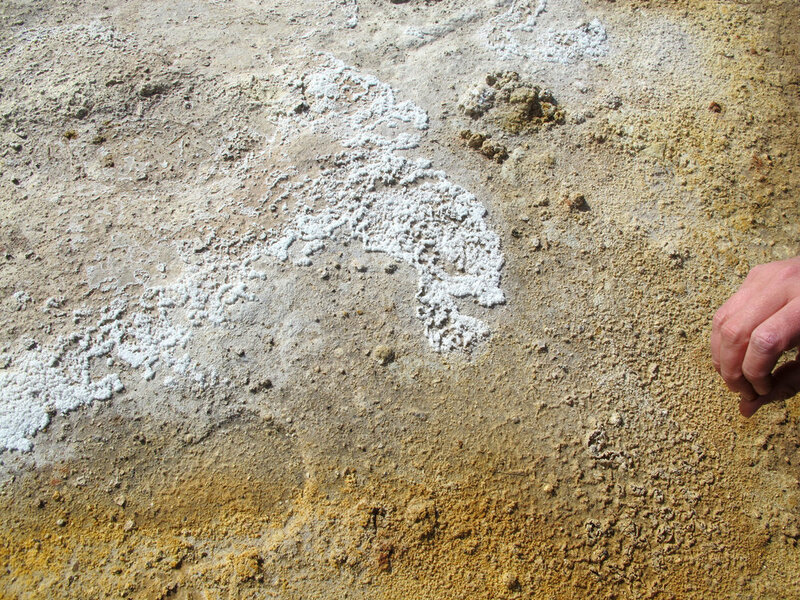 The sulfur was used over the centuries, especially at Þeistareykir, but also for a time at Námafjall, south of Krafla. 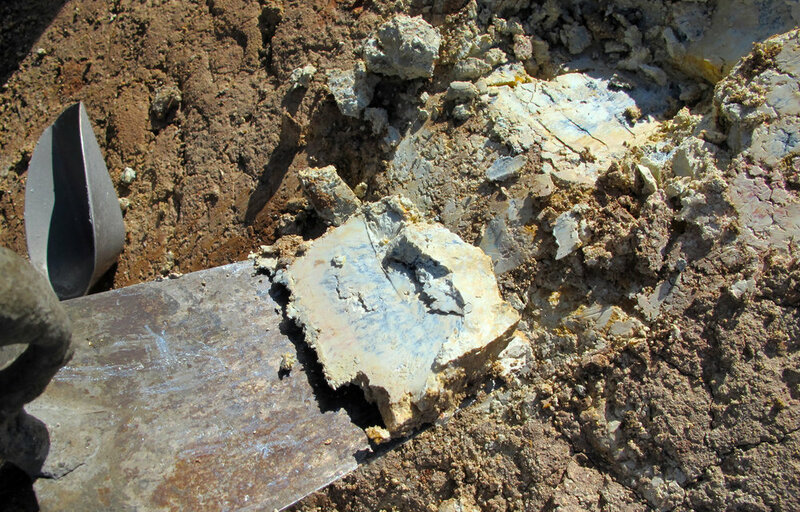 Geothermal clay is fairly common in the area, but is generally very mixed and pure kaolin is not found in many places. 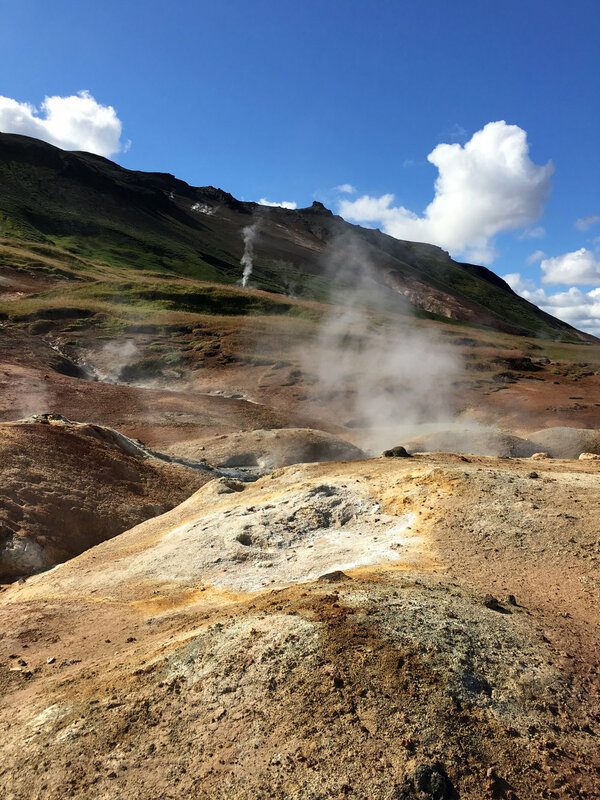 There are still well-known sources at Krafla, with the remote Krókóttuvötn Lakes best known and the source of kaolin clay that was studied around 1980. 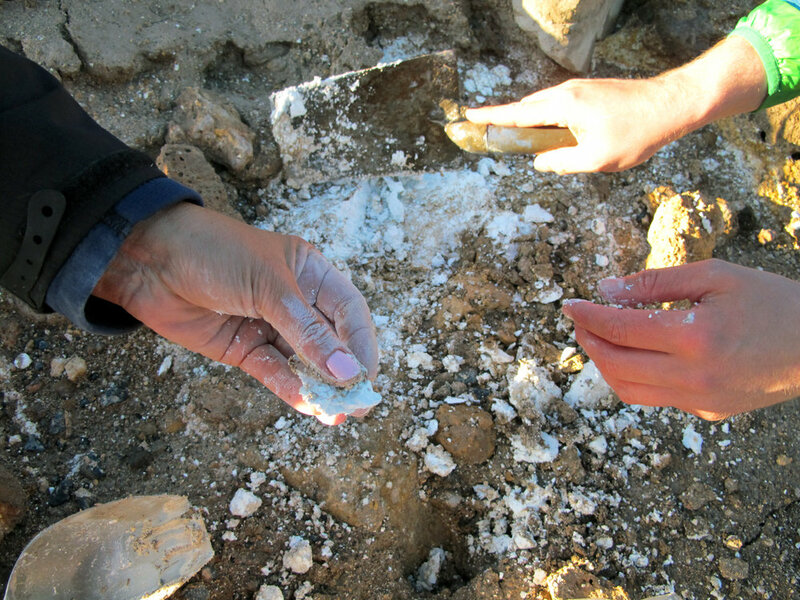 At Grænutjörn, east of Krafla we found traces of pure kaolin, usable for porcelain-making.